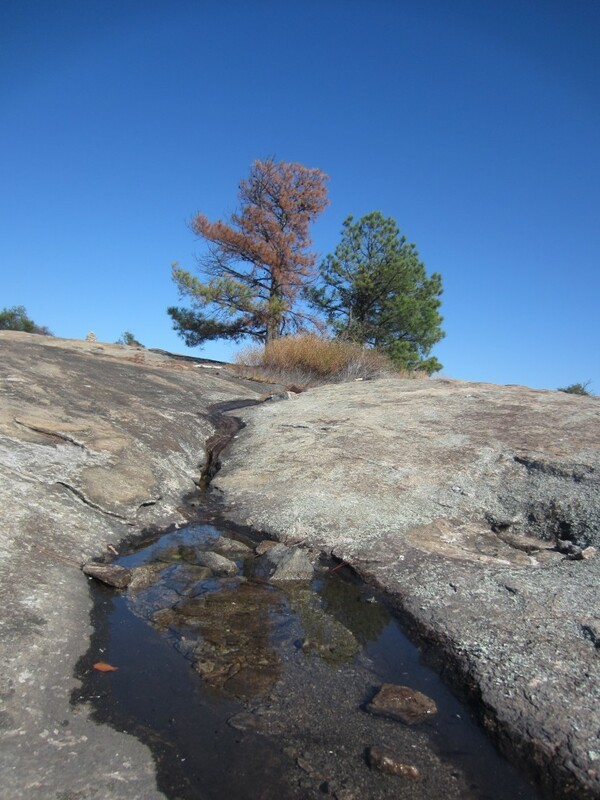 Arabia Mountain, a granite monadnock, is one of the most distinctive features of the Heritage Area. The Arabia Mountain monadnock, or an isolated and exposed rock hill, is one of the few found in Georgia besides Stone Mountain and Heritage Area sister Panola Mountain. The unique topography and geology of a monadnock allows for unusual plant and animal species to thrive. 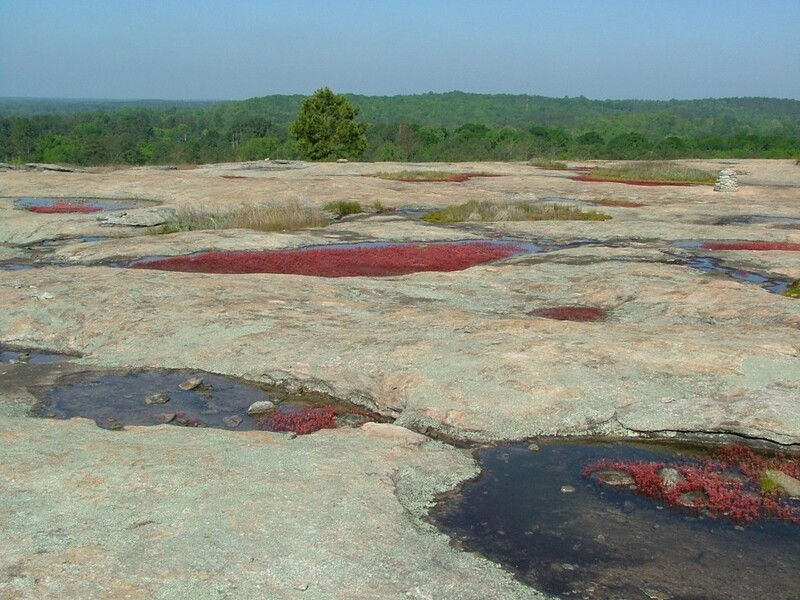 Arabia Mountain has five species that are listed as both state and federally endangered, including the bright-red diamorpha plant that lives in small pools of water that form on the monadnock. Historically, Arabia Mountain was one of several locations where the quarrying of granite took place in the Area. Granite from Lithonia quarries, including Arabia Mountain, can be found throughout the United States, including in buildings at the U.S. Naval Academy, the Brooklyn Bridge, and as curb blocks. The Davidson family owned Arabia Mountain during much of the 20th century, and by the 1960s Davidson Granite Enterprises was the largest producer of granite in the world. In the 1970’s, the Davidson family generously donated 500+ acres of Arabia Mountain and surrounding lands to DeKalb County as a nature preserve for local residents to enjoy. Since then, the park has been expanded several times and now includes 2,550 acres, several granite outcrops and two lakes. Today, the Davidson-Arabia Mountain Nature Preserve is a great place to hike, bike, and explore the fantastic natural wonders of a monadnock. In conjunction with the PATH foundation, miles of paved bike trails now meander through the preserve and provide a wonderful way to experience this one-of-a-kind natural and cultural resource. Find out more about how you can enjoy the Davidson-Arabia Mountain Nature Preserve here.